One of the biggest misconceptions in international travel is that Americans are strictly forbidden from entering Cuba. In reality, licenses are available to individuals traveling for certain reasons and “people to people” educational trips are a popular option. Then there are those that have traveled to Cuba illegally for years. The U.S. government doesn’t ban travel to Cuba, but rather bans spending money in Cuba, which makes regular travel essentially impossible. 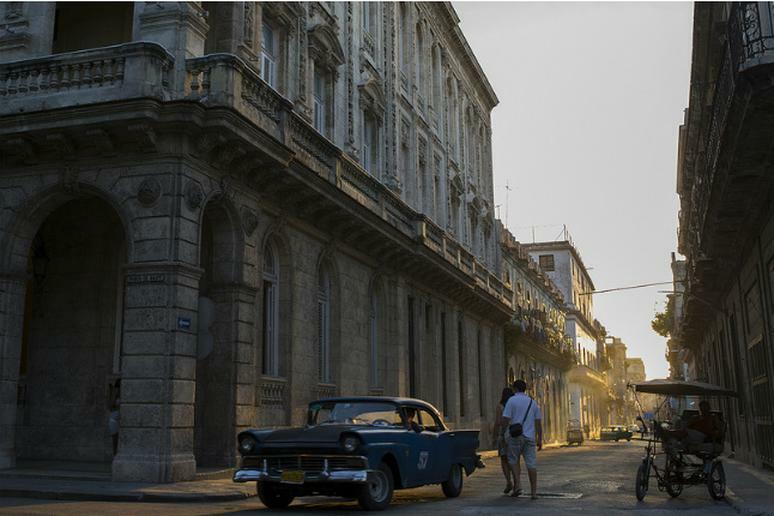 Licenses are controlled and issued by the Treasury Department’s Office of Foreign Assets Control, and though there is still a daily limit on spending in Cuba ($188 a day), Americans are able to travel there legally under the right circumstances. The island once off-limits to American tourists and their money now sees roughly half a million American travelers a year, according to The New York Times. Whether you’re determined to see Cuba in person, or you’re curious about how other people have been able to get there, we have the run-down on the ways Americans can travel to Cuba. In recent years tour companies have gotten permission from the U.S. government to lead “people to people” educational programs to Cuba. The idea behind these trips is to broaden cultural understanding and interact with locals, so in accordance with the government license, the itinerary is often packed with enriching activities. It is not recommended that you go on one of these tours with the intention of spending days on the beach, as you won’t likely have the opportunity. Insight Cuba has been leading these types of tours to Cuba since 2000 and Friendly Planet is another company who has been granted the license. You can apply for your own license, but some people will be more likely to qualify than others. Travelers visiting family, those traveling for research projects or people visiting for religious purposes might be able to obtain an individual license. The New York Times details the ways you’re most likely to receive your own license. Visiting Cuba without government permission will put you at risk for more than just government fines, lying to customs officials could land you in serious legal trouble, but travelers take the risk anyway. Each year, Americans fly through a third country (usually the Bahamas, Canada or Mexico) and then into Cuba. The customs officials in Cuba usually won’t stamp American passports, happy to be on the receiving end of American tourist dollars and then Americans have access to Cuba. Travelling to Cuba illegally is not something we would recommend, especially when legal travel to Cuba is arguably more accessible than ever before.